Friends, I’ve gone a bit PINEAPPLE crazy this week! 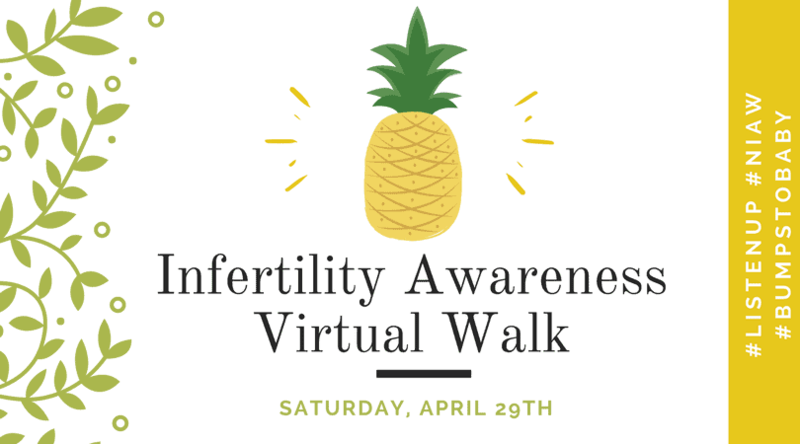 If you’re wondering why, it’s all for support of National Infertility Awareness Week and the pineapple symbol of Bumps to Baby. You can read more about that here, if you want :). Last year my pal Sara Haas and I ran a great series featuring women across the nation who’ve risen above infertility and battled the condition and all its obstacles. Not only did women (and men) unite across the globe to promote awareness surrounding the condition, but fellow friends (and hopefully you too) and banning together tomorrow to walk together, virtually, to show the many faces this condition affects. 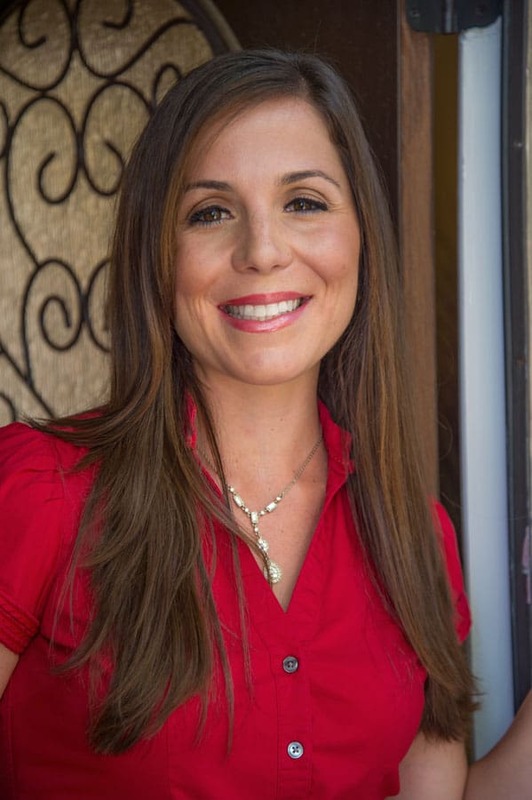 No, you don’t have to be “infertile” to walk! Yes, we’d love for you to get up and get moving in support of NIAW Saturday, April 29th. Literally, it’s as easy as that. Simple, right? JUMP, RUN or whatever you find that moves you to ban a phenomenal group of people who are struggling with this condition. And, if you’ve got an extra minute to spare, please consider signing this Change.org petition to help raise awareness and show your support for your friends, family and strangers battling infertility. 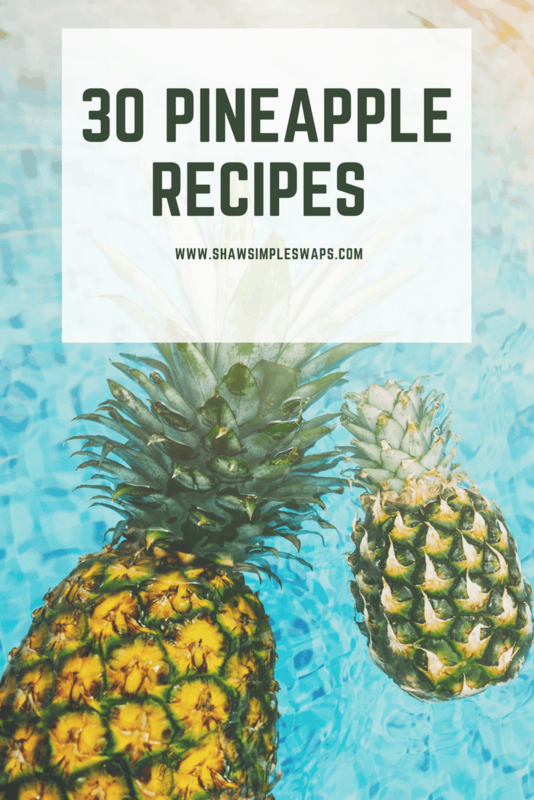 Now, because we all love PINEAPPLE, I’ve rounded up with the help of my fabulous colleagues 30 fabulous pineapple recipes for your summer menu! I hope you have a fabulous day and thank you, again, for your support in this journey! First off- do you know how to cut a pineapple? If not, get the details below from The Nutrition Adventure first! Now, ready for a smoothie? Don’t worry, these ladies have you covered! Breakfast Delights – You can’t forget the most important meal of the day! Delicious Main Meals & Sides – The “meat” and potatoes! Don’t forget to pin the pineapple! You can come back to these beauties later! Love all that you are doing for this important cause. 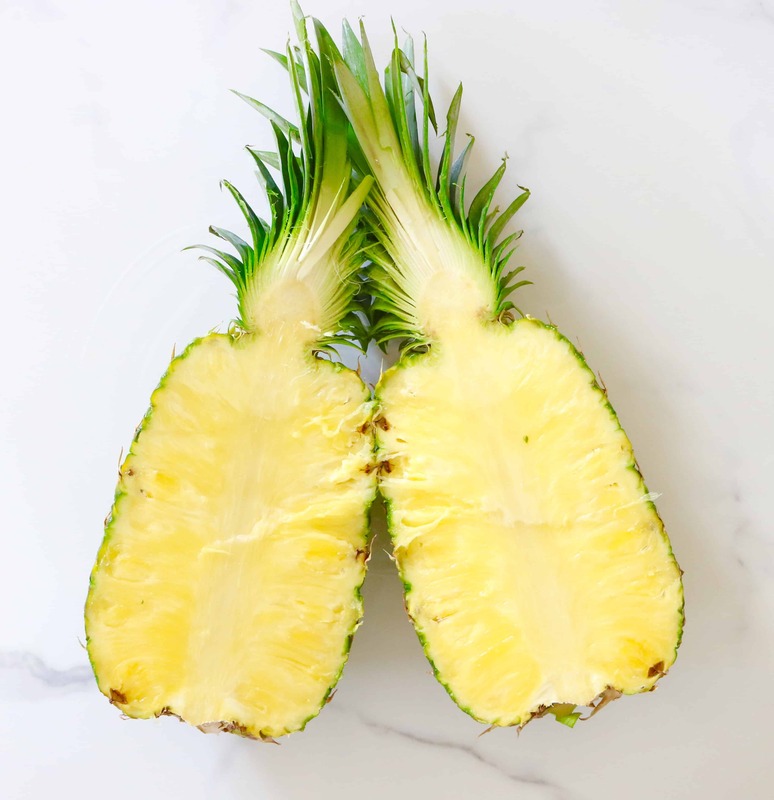 This is a great roundup – my hubby and one of my girls are huge pineapple fans – definitely need to make a few for them! Thanks so much EA! I really appreciate your support. I hope you have a wonderful weekend!